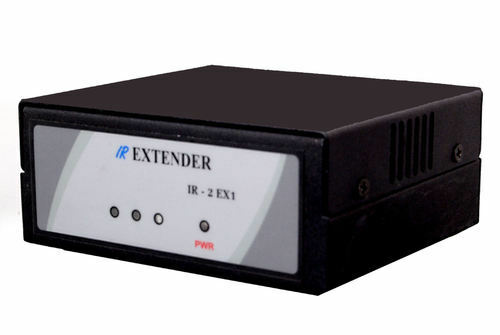 Pioneers in the industry, we offer ir extender from India. With the assistance of a highly progressive techniques and an ultra modern infrastructure, we have come up with a quality rich assortment of IR Control Unit. Well known for its remarkable features, our offered products are designed and developed as per industry set quality values. The quality of our offered goods is never compromised to deliver them to our customers at reasonable rates to our customers. A device by which you can control all Milestone Range of products with IR (wireless) remote control having Receiver at one end and Keypad (Remote) transmitter at other end. In IR you have to keep the receiver in line with the transmitter. In IR EP connector is provided on back side of the receiver. External IR Sensor can be attached to EP connector via Probe at a distance of 20 meters (optional).